Director/Producer – Charles Band, Screenplay – Jackson Barr, Story – Charles Band & Jackson Barr, Photography – Adolfo Bartoli, Music – Phil Davies & Mark Ryder, Special Effects – Players Special Effects (Supervisor – Kevin McCarthy), Makeup Effects – Palah Sandling, Production Design – Kathleen Coates. Production Company – Full Moon Entertainment. Captain McNulty is sent to the present to bring Jack Deth back to the future. Deth, living in the body of his ancestor, has married in the present and is unwilling to return. Deth’s wife from the future, Alice Stillwell, has also been sent back to retrieve him but has been locked in an asylum. The two of them are reunited, much to the consternation of Lena, Deth’s wife in the present. However, Deth discovers Alice has been sent back from a point just prior to her being killed and all that waits her upon her return is death. Meanwhile, Whistler’s brother, in the guise of the asylum doctor, has been conducting experiments to turn the homeless into trancers. Charles Band’s Trancers/Futurecop (1985) was an entertaining crossbreed of time travel story and film noir, one that made a virtue out of its low budget. As is wont with almost every film that Band and his father Albert produce under either their Empire, Full Moon or Moonbeam production labels, it was inevitably spun out into a series, producing four sequels of which this was the first. The later sequels became silly, sending Deth into fantasy worlds and the like, but this proves a modest and competent enough effort. It has a plot that is initially so burdened with exposition that it becomes almost impossible to follow. Nevertheless, the middle of the film sets up an intriguing temporal dilemma with Deth reunited with his dead wife and the knowledge that to send her back to their own time will be to send her back to face her death, which is conducted a degree of pathos that the first film never achieved. The rest is standard B-budget science-fiction escapades that generally follow in the footsteps of the first film. 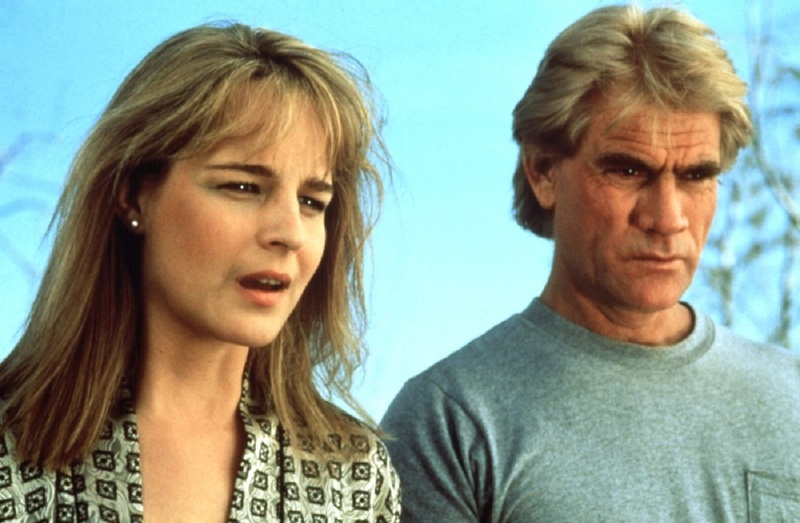 Tim Thomerson gives another highly amusing performance as Jack Deth. He is capably supported by Helen Hunt (who must surely regard the Trancers films as an embarrassment now that she has graduated to Academy and Emmy Award-winning actress) and Megan Ward, a worthwhile actress surely due more recognition, who was a find of the Bands in films like this, Crash and Burn (1990) and Arcade (1994). The subsequent Trancers films were:– Trancers III: Deth Lives (1992), Trancers 4: Jack of Swords (1994), Trancers 5: Sudden Deth (1995) and Trancers 6 (2002).